Try Antonio Lai’s Cocktails at GŌNG Bar For 2 Nights Only! 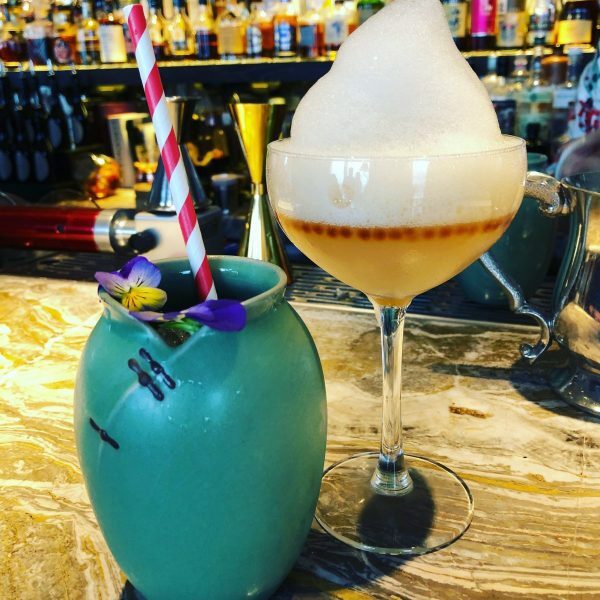 Tonight and tomorrow, you can catch renowned Multisensory Mixologist Antonio Lai making up some absolutely amazing cocktails at GŌNG Bar at Shangri-La at the Shard. Lai, who pioneered the MM concept at one of The World’s 50 Best Bars – Quinary Bar in Hong Kong, is taking up residency for just two more nights, working alongside GŌNG Bar’s Head Bartender Christian Maspes to create cocktails which stun both visually and to taste. GŌNG Bar regularly hosts Star Bartender events, giving residents and non-residents the chance to sample exciting drinks from some of the world’s most highly acclaimed mixologists in the highest hotel bar in Western Europe. Visit tonight and tomorrow to sample these extraordinary drinks, all at £16. The Luxuria Lifestyle April Hit List!